Christian Roehl will never forget the day he opened the door to his vacation home in New Hampshire more than 10 years ago and found the power out and the toilets and pipes frozen. 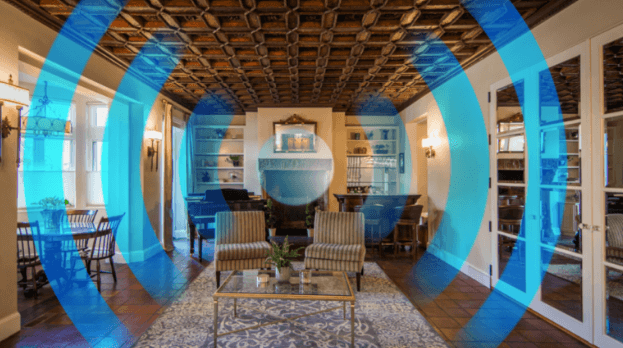 “It’s every homeowner’s nightmare,’’ said Roehl, a Boston resident and owner of InCommand Systems, a smart-home technical integration company he started about three years ago in Beacon Hill. Having a smart-home system wouldn’t have helped him in that power outage, true, but he made sure when he bought his next home that he could control its systems no matter where he was. He outfitted it with sensors that measure humidity and light levels, detect motion, keep the shades down and the door locked when no one is at home, and, if the water is running, shut it down immediately. That property, however, was a condominium in a 1900 stucco Beaux Arts building of great distinction: The cobblestone-paved courtyard on the Flat of the Hill leads into an entry hall with the original terra-cotta tile flooring and a magnificent dark oak staircase. The living room has a carved, painted, and coffered ceiling that probably originated in France or Italy several hundred years ago. There is an enormous fireplace with a carved wood mantel and limestone corbels, as well as built-ins and other historic architectural elements. “During our 2016 renovation, we introduced spray-foam insulation, HVAC systems, automated window blinds, a Nest thermostat, audio speakers in almost every room, plus all those sensors. We replaced 35 light switches with smart-home switches, and we ran new cables for sound in the home theater,’’ Roehl said.